The breathable DPM shell is water repellent and made with a hard wearing, soft touch classic camouflage pattern material. 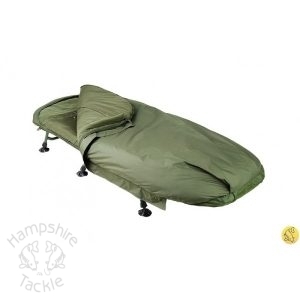 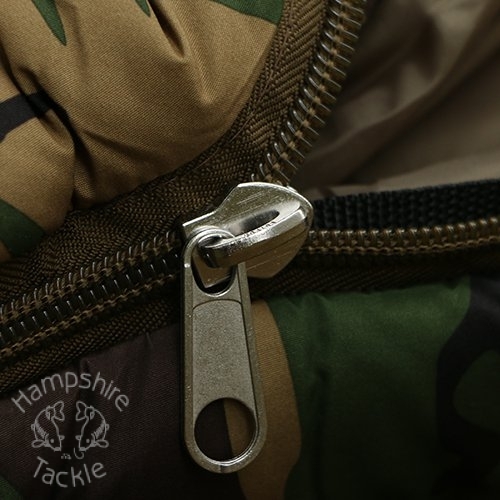 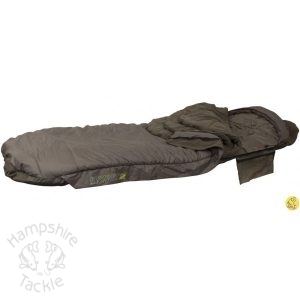 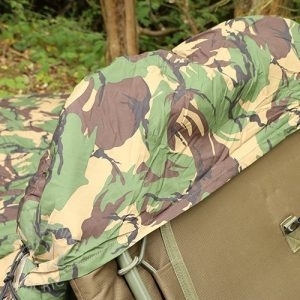 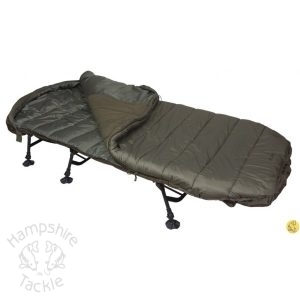 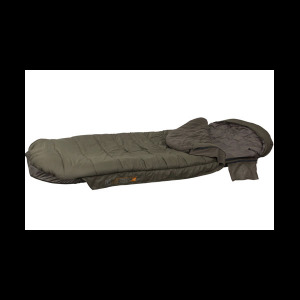 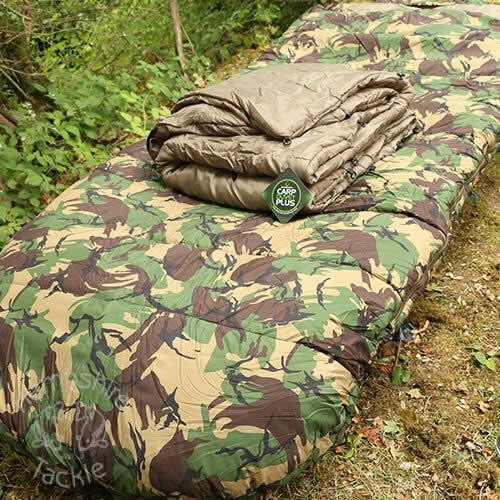 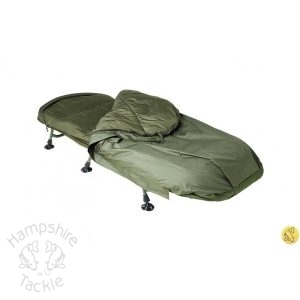 The Carp Duvet features full shoulder and zip baffles, plus draw cord on hood which all helps to eliminate draughts and keep you warm and cosy whilst you’re out on the bank. 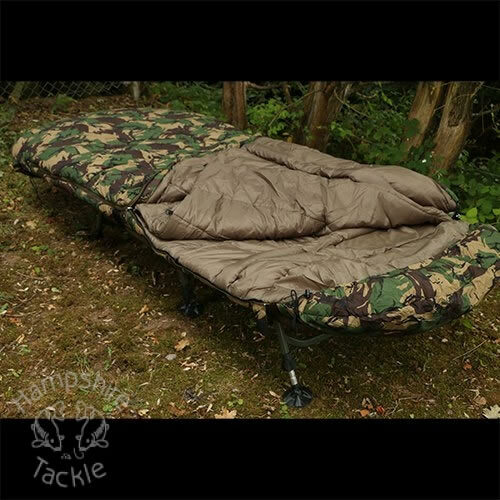 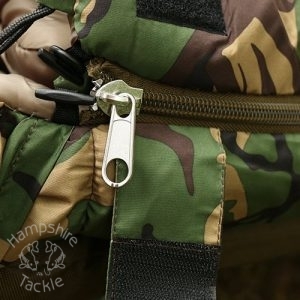 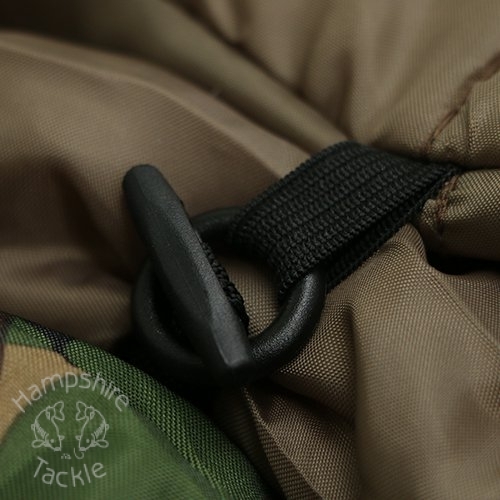 The Carp Duvet also features a high quality crash zip for easy and unhindered exit so you can get to your rods straight away. 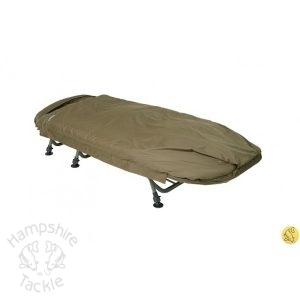 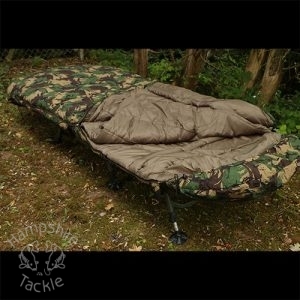 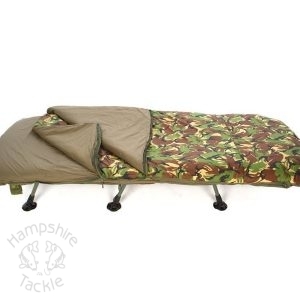 Carp duvet plus Internal dimensions = 98cm wide x 220 cm long (to top edge of top layer). 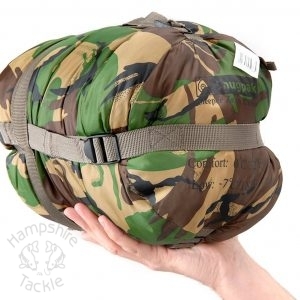 This beast of a bag is not suitable for small/compact bed chairs.